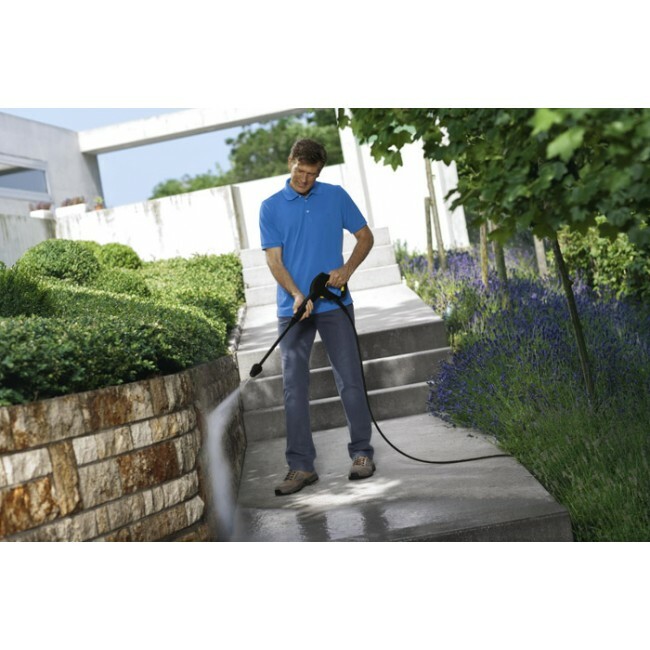 Dirt blaster with powerful rotor nozzle (rotating pencil jet) ideal for removing stubborn dirt. Ideal for moss covered or weathered surfaces. Rotary nozzle for stubborn dirt and stains. Increases cleaning power by factor of 10. 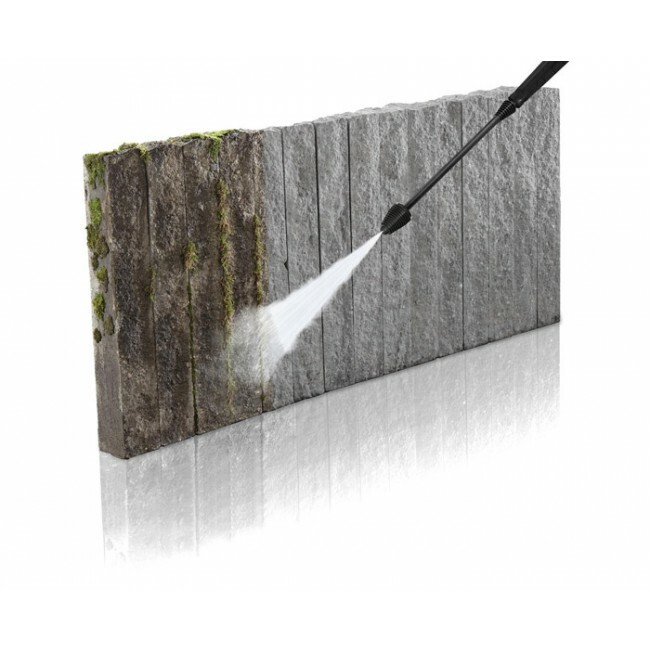 Typical application: Cleaning moss-covered or weathered outdoor surfaces.